I went into Baz Luhrmann’s The Great Gatsby with great trepidation. As a fan of F. Scott Fitzgerald’s novel, I was worried that Luhrmann’s style would clash with the world of Fitzgerald’s tale. It should be no shock to say that it does. The Australian director has always been style over substance, but here he shreds Fitzgerald’s book, removing everything that makes it special. I’ve always thought that Jack Clayton’s 1974 version starring Robert Redford was pretty perfect. It caught the essence and the feel of the novel, creating characters that felt haunted. Luhrmann doesn’t care about characters – he only cares about the visuals. The film may look impressive on a technical level (it won the Academy Award for Best Costumes and Production Design), but it lacks soul. Luhrmann’s recreation of 1920s New York on has some strong images, but the over-reliance on CGI coupled with the director’s hyper-real style gives the the film has a cartoonish feel that jars with Fitzgerald’s text. Luhrmann is in love with the concept of making a film in the time period of Gatsby – not an adaptation of Fitzgerald’s novel. Luhrmann was able to reinterpret William Shakespeare’s Romeo and Juliet or new generation back in 1996 – but his magic touch fails him here. It’s almost as if he believed his own hype – that he could deliver jazzed-up versions of classic texts for the youth of today (or yesterday in the case of the Shakespeare adaptation) – but that film may have been a one-off. With Gatsby, it feels like he read the novel – and totally missed the point of it. The film also fails on an acting level. It’s as if Luhrmann was so busy working on how the film should look, that he disregarded his actors. Leonardo DiCaprio seems to be trying (and failing) to echo Redford’s portrayal of Gatsby. However, he never really seems to be doing anything other than acting. Tobey Maguire is woefully miscast as Nick Carraway. If there is anyone who shouldn’t do a voiceover – it’s Maguire. Meanwhile, I think it’s clear that Carey Mulligan is going to have to begin to branch out and try something different. What may have been good in Shame is just grating here. The only acting standout is Joel Edgerton as Tom Buchanan. Buchanan is supposed to be the villain of the piece, but the characters in Luhrmann’s film are so despicable that you feel sorry for him. Baz Luhrmann’s The Great Gatsby is a failure. It’s a poor adaptation of F. Scott Fitzgerald’s powerful text and it’s tragic that such a great novel has been bastardised, becoming a flashy, CGI blockbuster. Ironic that the film uses so much excess to show a time filled with excess. 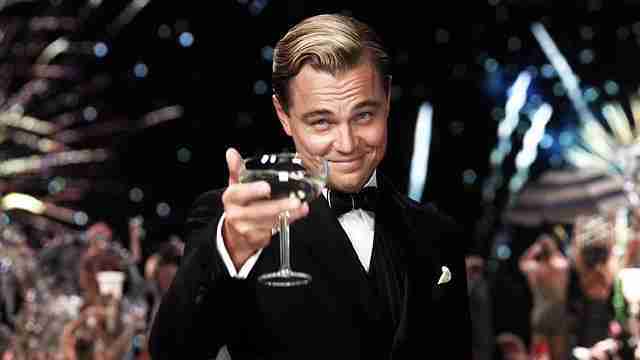 The Great Gatsby is now available on Blinkbox. DVD Review: MARLEY AND ME – Is It Just A Dog’s Dinner Of A Movie?